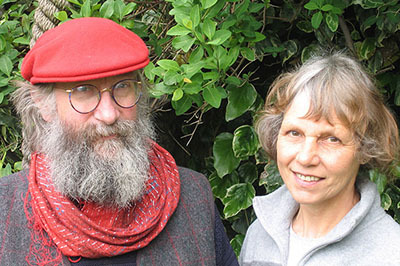 Footrope Knots was established in 1980 by Des and Liz Pawson. Now semi-retired they are still undertaking a variety of handmade ropework, as well as selling books to help you create your own work. You can order by phone or email, or visit us in Ipswich (by appointment only). We specialise in handmade decorative ropework, from bellropes to fenders, knot boards, keyrings, mats and lanyards, but can no longer undertake bulk orders. Take a look at Des Working on a RNLI style Bow Pudding( fender) for the Dunkirk Little Ship, Lucy Lavers, with the able help of young Tom Curtis. So you want to get knotting? We sell books for knot tyers across the world, together with tools and materials through our friends at Classic Marine. Whether you are a beginner or advanced knot tyer, we have the contacts to help you find a full range of materials, many of which are difficult to source elsewhere. We have developed this service from our own knot tying and the sources we have found over the years.